We like to give you financial options based on your recommendation of care. Please be prepared to discuss financial options. 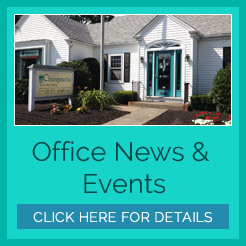 Our office accepts most commercial health insurances including Mass Health, Boston Medical Center, Harvard Pilgrim, United, Unicare, Tufts, Network Health, Blue Cross Blue Shield, Neighborhood Health Plan, Medicare & more. We also accept workers compensation and personal injury cases. In addition, we offer affordable financial plans for those with limited or no chiropractic insurance coverage so that you may receive the care you need and deserve. To find out if your insurance covers chiropractic care or to discuss our finance plans, contact us to schedule your consultation at (781) 335-7671.